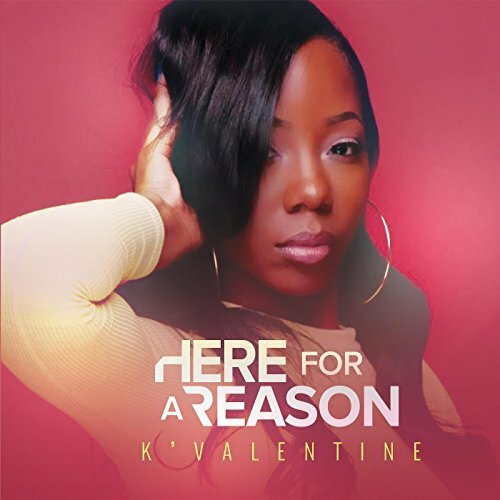 K’Valentine is one of the newest young rappers to come out of Chicago, whose music scene is currently on the map due to the efforts of rappers like Chance the Rapper, Vic Mensa, Noname, and BJ The Chicago Kid. Her debut album, Here for a Reason, is the result of putting the work in on her previous mixtape projects, which drew the attention of Talib Kweli. She first met Kweli backstage at a concert in Chicago, and he later produced her 2014 mixtape Million Dollar Baby. Continuing that collaboration, Kweli is one of many artists featured on the album, including BJ The Chicago Kid, Tweet, Kendra Ross, and Scotty ATL. These collaborations offer a lot, but Valentine still holds her own throughout the rest of the album. K’Valentine’s background is in poetry, which definitely shows throughout her verses. Her career as both a poet and a rapper was informed by a chance backstage meeting with the late great Maya Angelou, who encouraged her to continue to write. At times, the album can seem minimalistic, but never simplistic. If anything, the stripped down production, particularly on “King,” help Valentine’s message to shine through. With this debut album, Valentine joins a long line of hard hitting female MC’s that can also hold their own with the men. Her flow is versatile, her verses personal, and she moves easily between conscious and club rap. There’s something old school about her rhymes, and she shows an ability to be a rapper that can also create R&B jams. Here For a Reason provides a consistent sound, and gives the listener a good glimpse into the kind of MC K’Valentine is going to grow into.